Enviro-Vac provides asbestos removal, decontamination and abatement service solutions to the petrochemical sector that encompass a broad range of technical and management capabilities including a comprehensive safety and regulatory compliance that is second to none. Our services range from installation of negative pressure shrink-wrap enclosures for high-risk asbestos abatement and decontamination of boilers, refractory vessels and processing lines to removal of asbestos cladding and firespray. 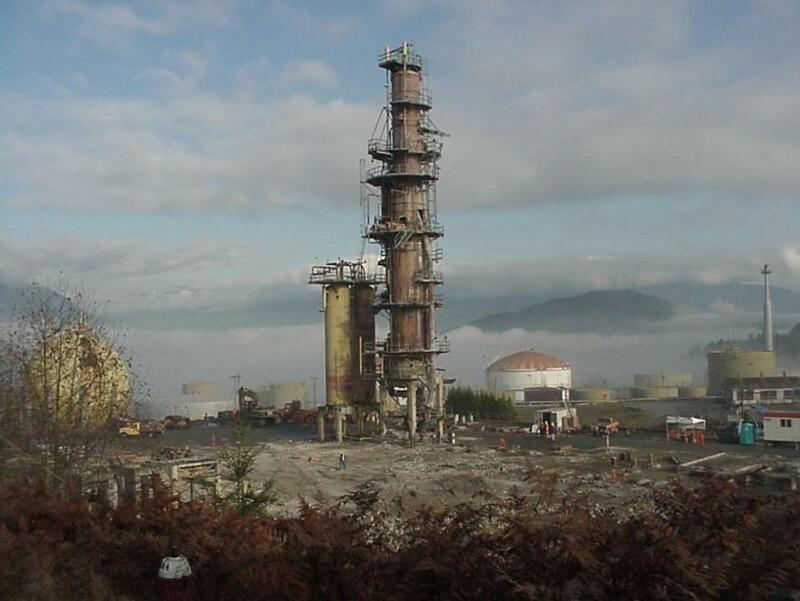 We have developed many long-term relationships with some of the petrochemical industry’s leading decommissioning and demolition companies and have successfully completed numerous industrial projects Canada-wide. We have proven capabilities of delivering often complex, turnkey refinery abatement and decontamination projects on a national scale, on time and on budget without incident. Hazardous materials abatement in a refinery can be a daunting task as there are various environmental compliance liabilities & regulatory issues that can exist when removing asbestos, cleaning or decontaminating a refinery. There are few places where safety is more important. Enviro-Vac has considerable expertise and experience performing asbestos abatement inside operating facilities. A major decommissioning company asked Enviro-Vac to prepare a proposal and quote for the safe abatement and decontamination of asbestos within a major refinery in Alberta. The multi-million dollar abatement project was made more complex as abatement needed to be accomplished inside a functioning refinery in the harshest of weather conditions beginning in the late Canadian winter and continued for two years, often working at height and over live electrical wires. To protect the Enviro-Vac crew from bitterly cold weather and wind while also safeguarding the client’s personnel, the company installed specially designed and engineered fire-rated, shrink-wrap containments around the areas requiring abatement. Enviro-Vac actively supports a collaborative working relationship with clients and our reputation for excellent service and efficient work methodology throughout the abatement phases did not disappoint our client. Because of the attention to detail and extensive experience that Enviro-Vac brings to the table, the project was completed on-time and on-budget, with zero accidents. Enviro-Vac strives to be problem solvers and works with clients to reduce potential liability exposure while keeping them safe and in compliance. In today’s ever-changing regulatory environment, we provide safe and efficient abatement and decontamination solutions to the industry’s toughest challenges. Enviro-Vac has removed asbestos from facilities all over Canada including Canada’s sub-arctic to compile an exceptional projects completed history.